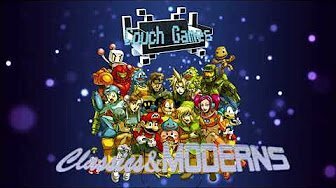 Hi guys, I have just watched the tutorial on how to play Game Cube and Wii games on LaunchBox and what I don't get is the way to layout the xbox 360 controller. I have done it as in the video but I suspect maybe when selecting "classic" instead of nunchuk you go under a sub-setup, not the main layout on the controller section? I have attached a couple of pics showing my configuration. Hope you guys can help Many thanks in advance! So, I'm sure most of you guys are aware that Nintendo's new "NES Classic" has actually come out in the USA at a street price of $60, and is selling out super fast at many retailers. While the styling of the device itself is very "retro", it seems to be, for all intents and purposes, some kind of purpose-built hardware that just runs an NES emulator and lets you switch between 30 built in ROMs. It also has save states. I'm curious what people here make of this. My take on this: much like with their Amiibos and other stuff, Nintendo has a knack for making products that I have absolutely no practical need for but are still charming and tempt me to buy them just because "I want it!". Like, in this case, having to use the boxy old style NES controllers with super short wires and being limited to only 30 games and only the stock interface are all reasons I shouldn't want or need this device. I've got a super powerful computer with LaunchBox and wireless controllers. And yet... I still kinda want one, not gonna lie. One thing that is interesting is that many reviews I've read have made mention of the video output coming off this thing as being super nice. They have 3 different display modes, but generally it seems like people are just going for a crisp "original pixels" look, which is surprising. I'm using a scanline shader setup for most of my old RetroArch platforms, including NES, and it "looks the most right" to my eyes.